Our partners at District 10 Como Community Council and Ramsey County Environmental Services are promoting composting of all kinds – food waste, yard waste, and other compostables. Both have graciously provided us with helpful links for folks wanting to set up backyard composting. 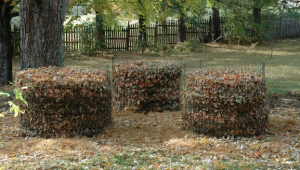 We’ve also added a link to a great video created by Capitol Region Watershed District on making a simple backyard leaf composter out of chicken wire. Also, mowing over leaves to make mulch, or using whole leaves strategically in your garden spaces, is a great way to reuse leaves on your property. We’ve added several links to informative articles about this practice.